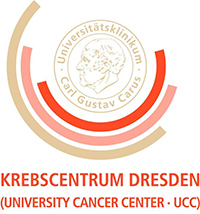 Oncological studies at the NCT/UCC Dresden are an integral part of an innovative and efficient clinical and translational research strategy. To optimally support the transfer of basic research knowledge into clinical application, the Core Unit for Data Management and Analytics is connecting the three key areas of (i) IT solutions and data management, (ii) data analysis and knowledge extraction, and (iii) clinical trial design and management. The joint coordination of these lines of expertise within one core unit, specifically facilitates the iteration from hypothesis-driven clinical trials to the generation and testing of new hypotheses. The close collaboration with the NCT Heidelberg and sponsoring institutions will create synergies such as an efficient usage of the data integration and analysis resources and shared database infrastructure. Data management: Establish processes and systems to secure adequate quality and availability of data for translational research. Support of the clinical data base update, including data in- and output, follow-up, and quality control. Medical Intelligence: Development and application of a clinical data warehouse solution to integrate heterogeneous data types and sources. These include e.g. clinical, epidemiological, medical care, genomic, molecular, imaging and other biological data as well as modeling and simulation results. Data exploration, analysis and modeling: Explorative, statistically confirmative, and model-based research aiming at the generation and validation of clinically relevant hypotheses, to predict therapeutic effects, and to achieve a deeper understanding of pathophysiological mechanisms. This includes the application and development of data exploration (e.g. data mining, machine learning) and of mathematical modeling (e.g. computer simulation, in silico predictions) methods. Project management and study performance: Regulatory and methodological support of the implementation and analysis of clinical studies in close collaboration with the Coordinating Center for Clinical Trials (KKS) Dresden. Medical care and outcome research: Development of solutions for the electronical registration of symptoms and quality of life for the direct usage trough the patient care team and the systematic integration in the daily routine of medical care. Quality management: Development and implementation of standardization and controlling procedures to ensure a high quality standard as well comparability of data from all clinical studies with the NCT.